Austempered Ductile Iron is also referred to as ADI. This material has been developed to offer enhanced strength and wear resistant properties. Impact resistance of Ductile Iron is retained. This material also offers enhanced fatigue properties. Post casting austempering is an isothermal heat treatment applied to SG Iron materials. The chemical analysis of the SG Iron has to be controlled very carefully to ensure that the maximum mechanical properties resulting from the post casting solution treatment are achieved. 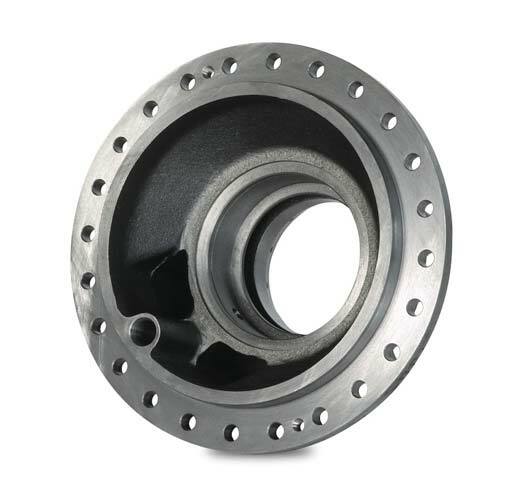 When compared to carbon steel castings and steel forgings and fabrications ADI – Austempered Ductile iron has a lower manufacturing cost. 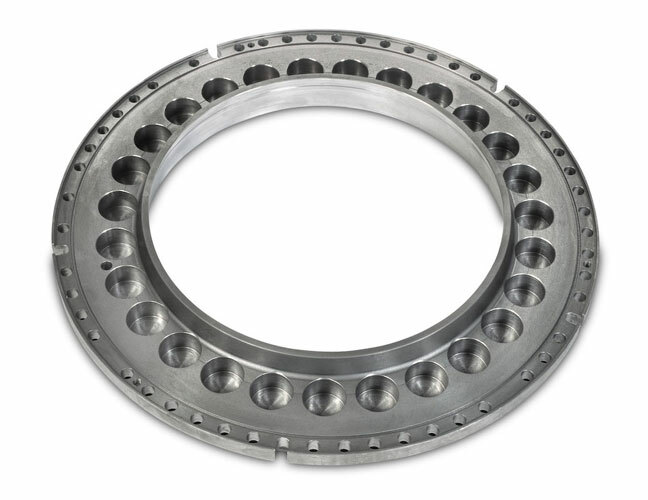 ADI has a lower casting temperature than steel and this allows for a superior surface finish and the ability to cast complex shapes incorporating changes of section. 1600 N/mm2 can be achieved with certain grades of Austempered Ductile Iron. ADI has a lower density than steel. 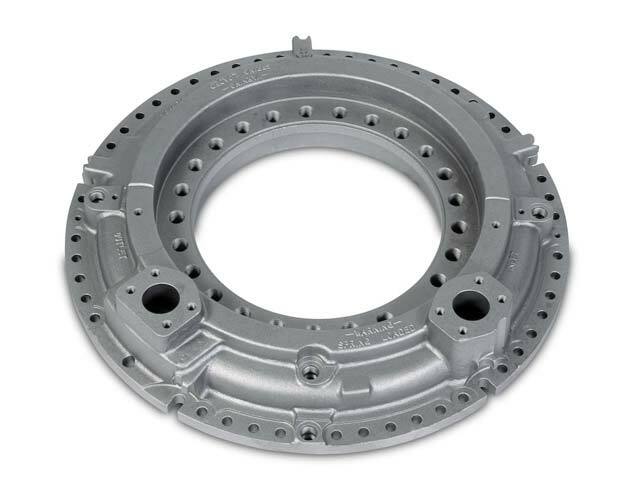 Casting designs incorporate near net shape offering significant weight savings over steel castings. The presence of graphite in the Austempered Ductile Iron improves noise damping. 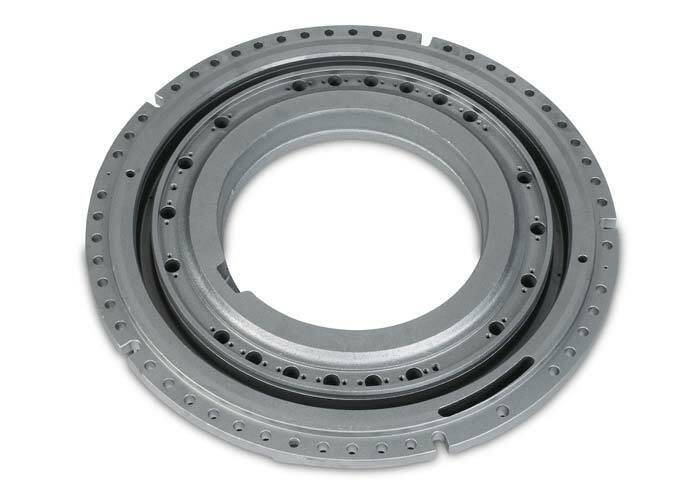 The wear characteristics of ADI improve in service. Hardening occurs during normal operational use. Therefore ADI is a perfect choice high abrasion application. The ability to cast to near net shape reduces the machining costs of ADI castings when compared to steel products. Note 1: The mimimum values can be obtained on wall thickness up to 50mm. For heavier sections agreement between purchaser and manufacturer is recommended. Note 4: Notched after heat-treatment.